Sports have always been a part of my life. I grew up in a household where football, NASCAR and Kentucky basketball were all a common sight. My parents believed in the life lessons that sports can teach you, so ever since I was old enough to swim, tumble or jump, I’ve been participating in sports. 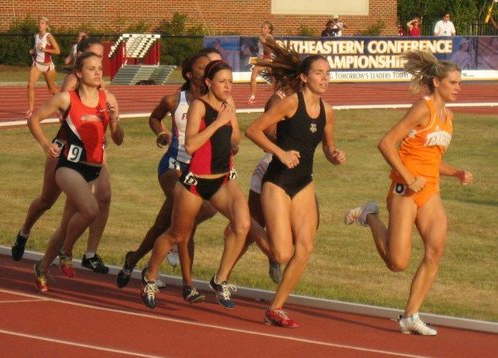 In high school I discovered a love for running, and I was fortunate enough to pursue that passion as a student-athlete at Auburn University. When I graduated, I knew I wanted to combine my passion for sports with my love for writing, communications & anything creative. Thankfully I happened to stumble upon this thing called social media, and needless to say, it was love at first tweet. 10 years later here I am, writing about this thing called digital marketing. While my foundation has been in digital, I consider myself a brand marketer at heart. I believe my job is to bring to life the brands I work for, connect with consumers & drive organization results. The channels are a vehicle to do so, but the foundational aspects of marketing do not change. I’ve been part of amazing brands including Under Armour, the NCAA, IMG LIVE and New York Yankees (current). I’ve led social media strategies, built communities, launched major brand campaigns, revamped creative processes, built integrated marketing plans, driven revenue for organizations and tackled (and grown to love) creative briefs. I love the challenge of keeping up with an ever-changing digital landscape and enjoy working in an industry that requires me to think outside the box. There is always something to learn. This blog serves as an extension of my learning. My focus is social + digital in the sports industry (trends, lessons, happenings), but of course, there will be other random musings here and there. Be sure to leave your thoughts, comments and insights. You can always drop me an email, too. Thanks for reading! Please note: My views, expressions, rants and thoughts are my own and do not represent those of my employer.